I am the CCO of uTapp which I Co-Founded in 2014. 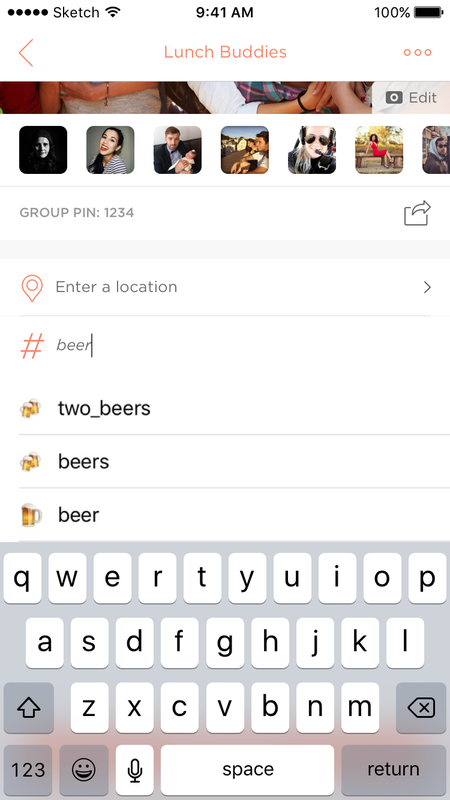 It’s an app that makes getting together with a group of friends an easy and enjoyable experience. 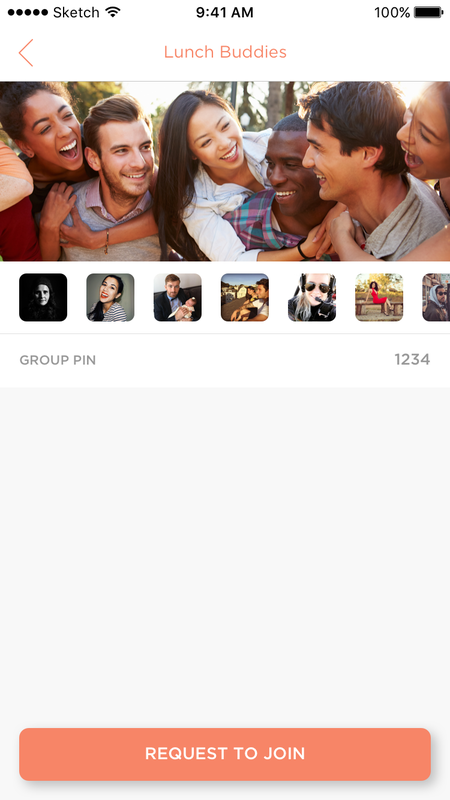 We wanted to bypass group messaging and group planning as it takes up too much time and often creates irrelevant noise. I led the designs for the app on both iOS and Android. Additionally, I set the art direction principles and guidelines when designing and creating for the brand. If one tap now suffices to hail a cab or to order food then we should just as effortlessly have a way to meet up. My Co-Founders experienced a very common pain point in college. Getting together with a group of friends seemed way more difficult than it should've been. A simple Yes or No question like "Hey, wanna meet up for coffee at Joy's at 2pm after class?" more often than not, resulted in a very long group messaging between multiple people—to a point where noting get decided and no one meets up. Soon after identifying the problem, my Co-Founders reached out to me to help them figure out a solution. We decided to utilize an existing behavior and simply alter it to help us solve this modern day problem. 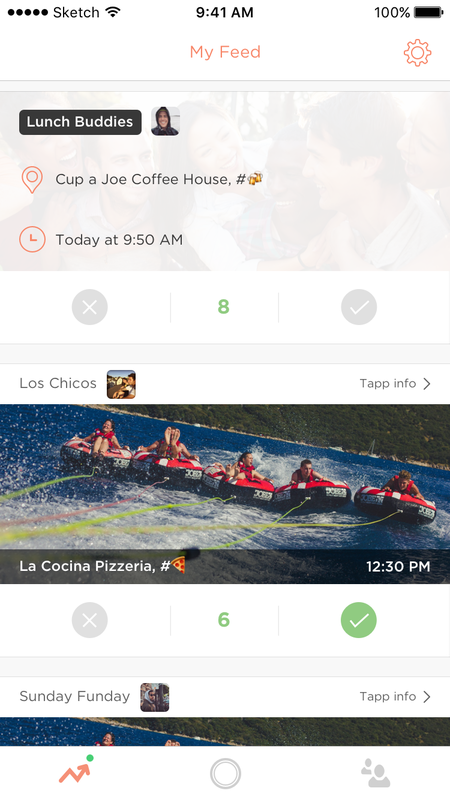 Spending time with whomever you want, whenever you want and wherever you want should be as easy as a tap of a button. We believe that phones should bring us together, not keep us apart. What we found in our behavior along with other friends, was that group chats were very ineffective when it came to planning casual, spontaneous outings with a group of friends. A simple question would often get lost in the clutter of group messaging and chatter. Calendar invites felt too formal and Facebook events were not reliable enough. 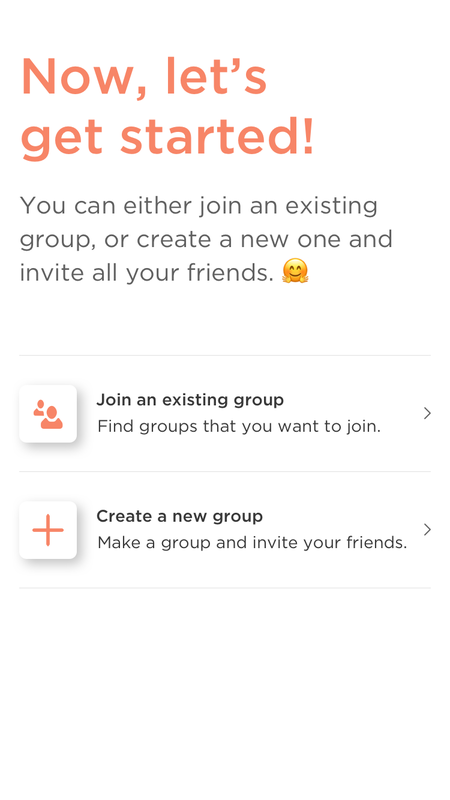 We wanted to create a platform where a person can simply ask a group of friends whether or not they want to hang out and get a simple, reliable answer back – either a Yes or a No. 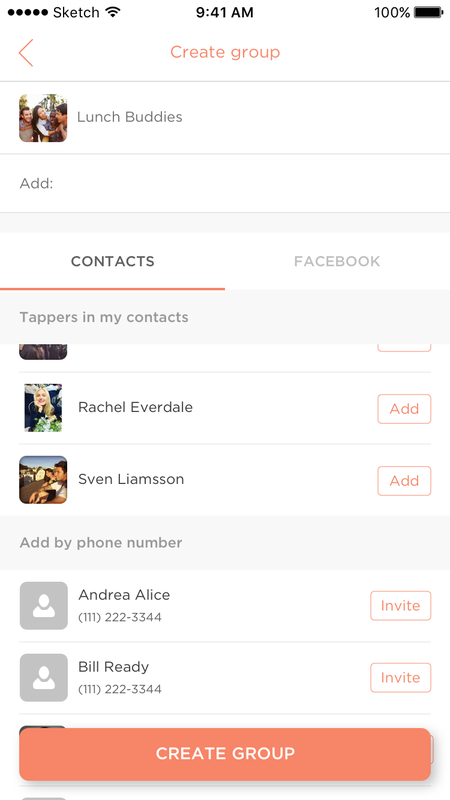 A lot of uTapp's functionality changed over the years and the vision and mission for uTapp shifted a bit as well. A good number of our ideas and hypotheses were proven wrong in our user research and testing. Our goal however, was always was to bring people closer together.